If you're in the market for a new It bag this season, we highly recommend the Karl Bag from Boyy. 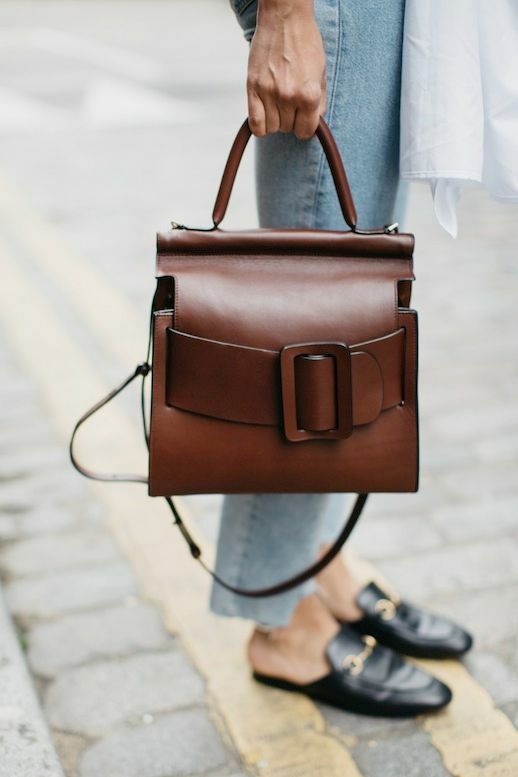 It's a classic top-handle bag with a whimsical twist thanks to an oversized buckle. 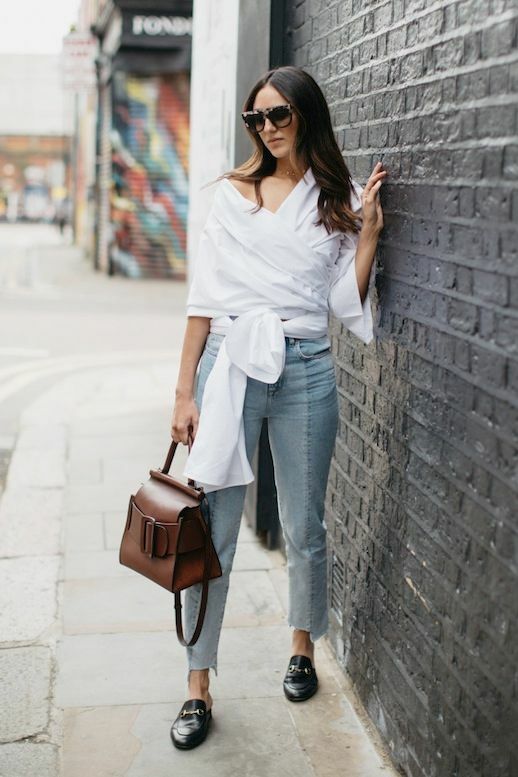 We absolutely adore how Soraya styled hers with a white wrap top, deconstructed raw-hem jeans, and Gucci mule flats.